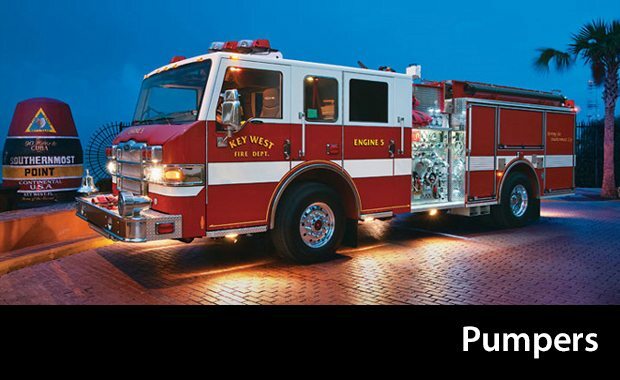 Pumpers – Everything on a Pierce Pumper is engineered to your exact specifications. Expect user-friendly pump panels and superior performance of every component that directs and delivers water or foam. *Talk to our Pierce fire truck sales representatives for additional warranty details. When it comes to designing a pumper, no one offers more designs and flexibility than Pierce. 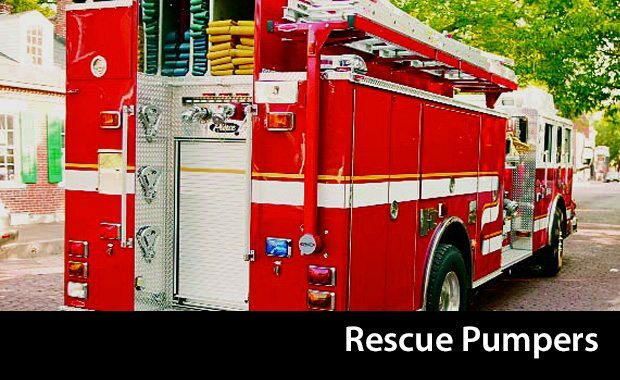 Pierce pumper bodies are available in aluminum, stainless, or galvaneal. They come in six lengths and 300 different body configurations to meet your exact specifications. If there isn’t something to fit your needs out-of-the-box, customization is also available to ensure the high side, broom, and low side compartments are laid out just right. 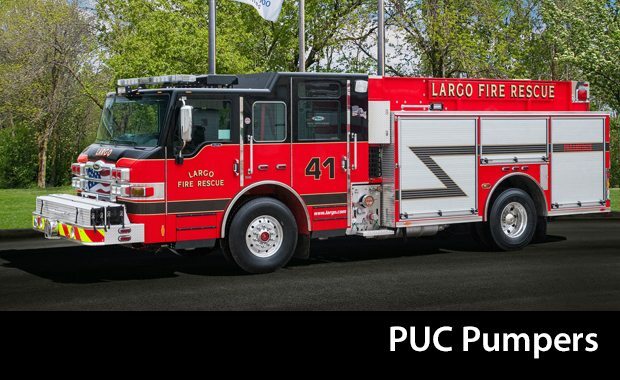 Available on most commercial chassis and all Pierce custom chassis, there are literally thousands of options to help you design and build the perfect pumper for your department. If you are interested in learning more about Pierce Pumpers, or you’re ready to talk about your specifications, contact us today.